The modern Chinese architecture combines a unique blend of traditional style and Western influence. In recent years, it starts to be more and more notable worldwide and for a good reason. Today we are going to go through selection of remarkable examples of Chinese contemporary architecture. 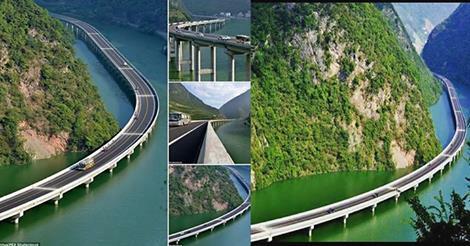 It is one of its kind construction in the world, that was opened up last month and was meant to shorten commute between Shanghai and Chengdu. Uniqueness of this bridge is that it doesn't cross the river, but is built along it. One of the reasons behind it was to avoid cutting down the forest surrounding that area. This remarkable building was students' project from local architecture school and was built to draw interest to the city. 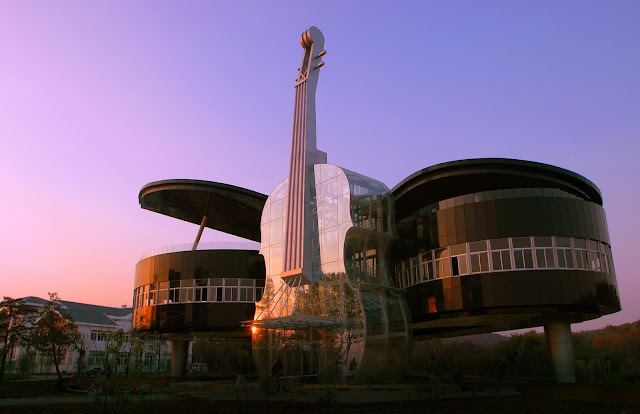 The Piano House consists of two parts - the violin, made completely out of glass, that is used as grand entrance and the piano as main building. Inside it has numerous conference rooms and is used mainly as the venue for hosting art exhibitions or any other events. 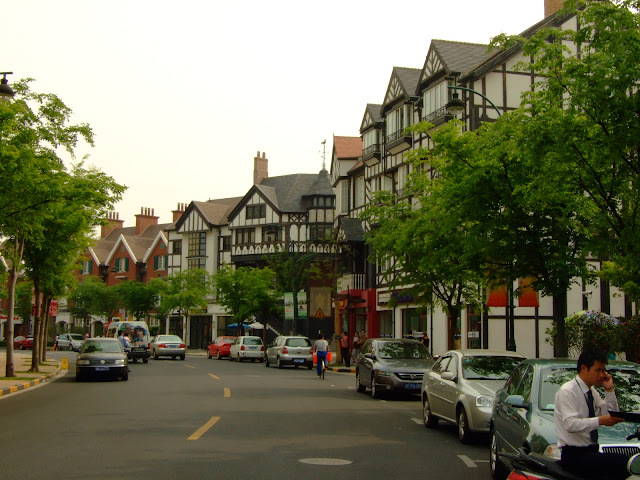 Thames Town resembles classical old English market style town and is a product of so-called 'copycat architecture' that is so popular in Middle Kingdom. Most of the architecture was directly copied from buildings found in different parts of England. Picturesque town has become one of the most popular locations for a wedding photography. This retail, office and entertainment complex in Beijing was designed by Zaha Hadid, one of the most well-know woman architect in the world. 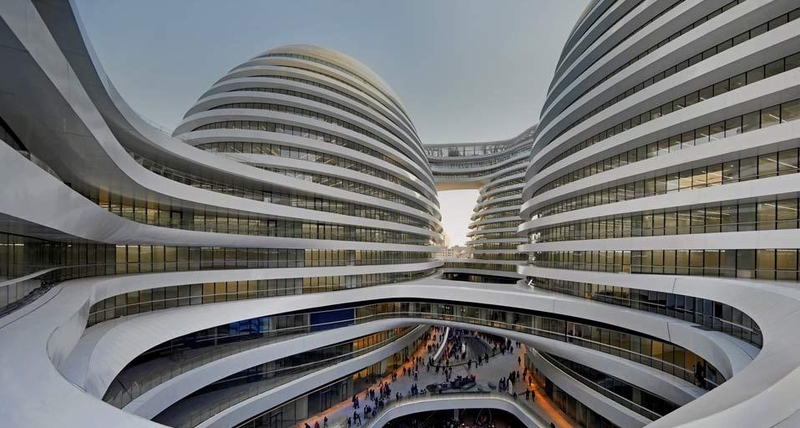 Galaxy Soho is futuristic-looking building whose design was meant to "respond to the varied contextual relationships and dynamic conditions of Beijing," says Zaha Hadid. 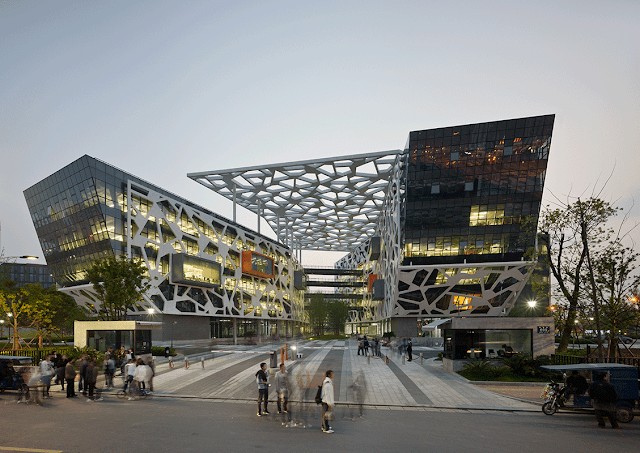 This building was built in 2009 to serve as headquarters for one of the leading companies in China. It was designed to combine as much of open space as possible to enhance the productivity of employees while keeping the informal atmosphere and encourage creativity. It is yet another great example of architecture that integrates contemporary and traditional elements in itself, such as garden networks that are typical for Hangzhou area and the sun shading screens that reflect Chinese ice-ray lattices used widely throughout the region. What do you think of Chinese architecture? Share your opinion with us below.